The UFC’s first event of 2019 is now live from the Barclays Center in Brooklyn, New York. 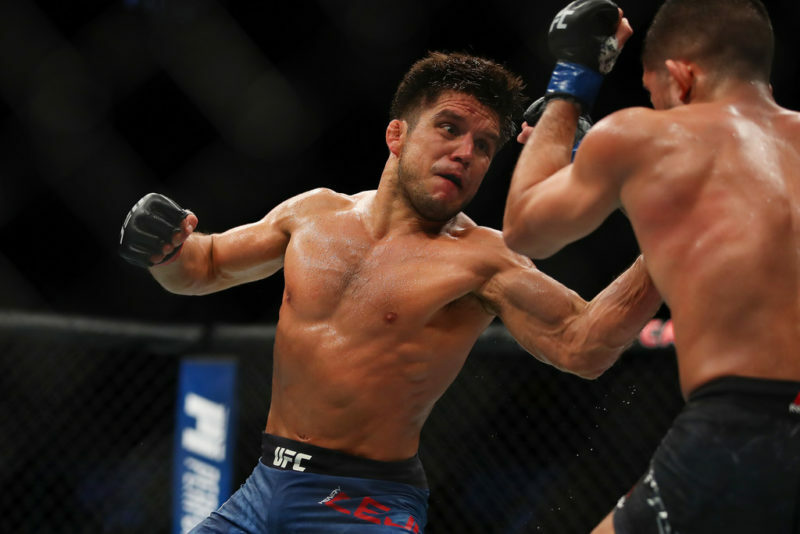 Titled UFC on ESPN+ 1 (or UFC Fight Night 143: Cejudo vs. Dillashaw), the fight card is headlined by a fantastic champion vs. champion showdown between Henry Cejudo and TJ Dillashaw. 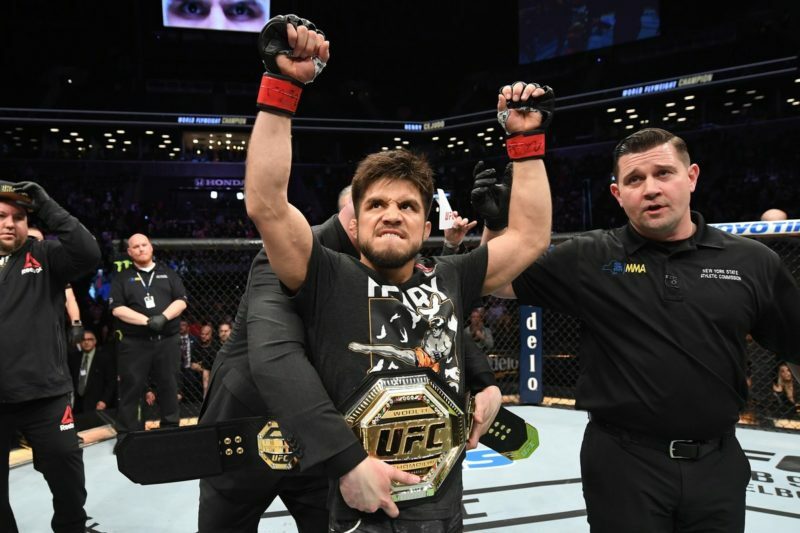 Cejudo will defend his newly earned UFC Flyweight Championship from the current bantamweight champion. Follow along for live results and coverage of the action at UFC on ESPN+ 1. Want live play-by-play updates? We’ve got that, too. Henry Cejudo just crushed TJ Dillashaw. He connected with a high kick and rocked Dillashaw before following up with heavy punches. Dillashaw was all over the place, and the referee stopped the fight. Unreal scenes. The Greg Hardy experiment has taken a turn for the worse. Hardy rushed out and started throwing bombs. Crowder survived and eventually took Hardy down to the mat to last until the end of the first round. 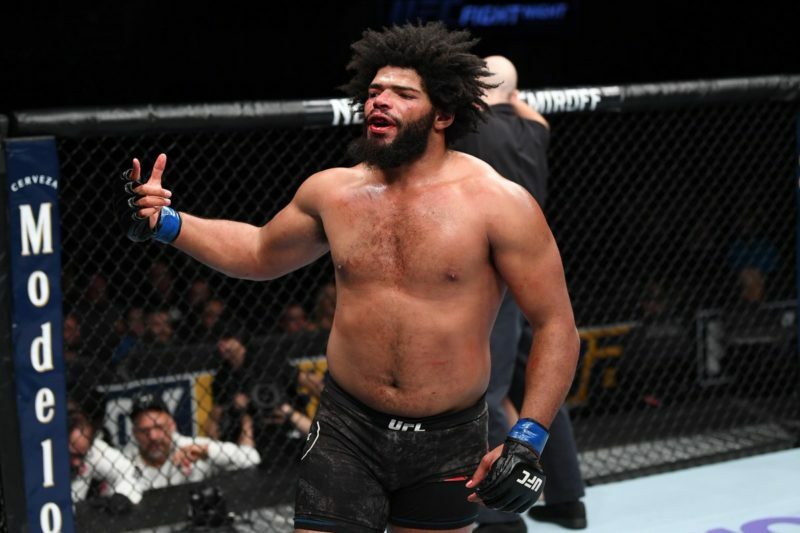 Crowder started trash talking Hardy in the second round and then Hardy connected with an illegal knee to a downed opponent (Crowder was on two knees). Hardy was disqualified. Gregor Gillespie’s wrestling is legit. Gillespie dominated Yancy Medeiros for two rounds in Brooklyn. 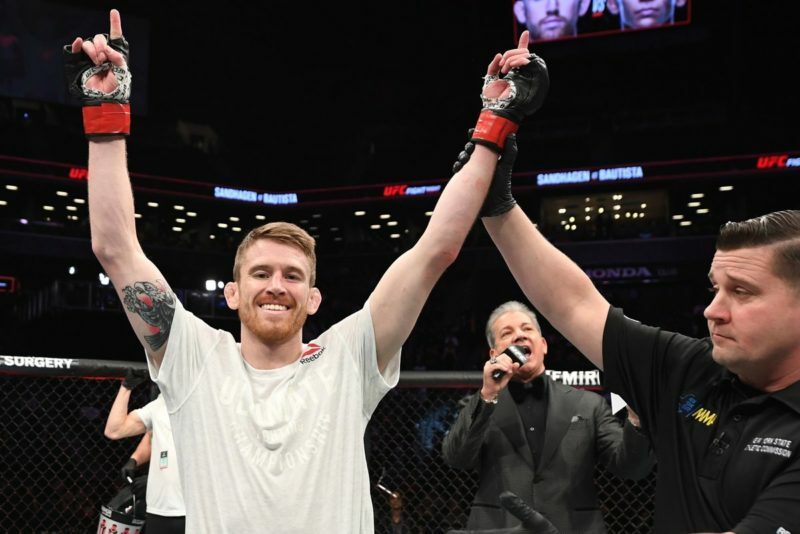 Maintaining a tight grip around the waist of his opponent, Gillespie dragged Medeiros around the cage and eventually battered him with ground and pound to earn the TKO stoppage. Joseph Benavidez and Dustin Ortiz showcased everything that’s great about the flyweight division. With rapid scrambles and high-level grappling, both fighters constantly battled for position. Benavidez was deemed to have done enough, but it was a competitive and fun fight throughout. Paige VanZant secured an impressive armbar finish at UFC Brooklyn. On the losing end of the grappling battle for most of the fight, VanZant was forced to endure heavy top pressure from Ostovich and a couple of submission attempts. The fight changed when Ostovich lept up to take the back of VanZant but slipped off. VanZant then took the back and began controlling her opponent. Not long after, VanZant was able to take control of her arm and go belly-down for an armbar finish. Glover Teixeira looked almost out of it after about 30 seconds but managed to hang on for an impressive submission win. After defending a double-leg takedown, Roberson used his position against the cage to rain down several heavy elbows to Teixeira’s head. Teixeira flopped to the mat and the fight looked all but over, but he managed to recover position and work to top position after a takedown. He went after the arm-triangle early but had no success. On the second try, however, he locked it up and Roberson tapped. Donald Cerrone made a statement in his return to the lightweight division. He survived an early onslaught from Alex Hernandez before settling into the fight and outclassing Hernandez in all aspects. A takedown in the middle of the first round might have been the defining factor. It slowed Hernandez down enough for Cerrone to find his groove and discouraged Hernandez from advancing at full-steam. Cerrone picked apart Hernandez with a terrific intercepting knee to the stomach all night long. Ultimately, it was a head kick in the second round that sent Hernandez on skates. Cerrone finished the fight with brutal ground and pound and the crowd lit up. Experience and grappling dominance was the difference for Joanne Calderwood tonight in Brooklyn. 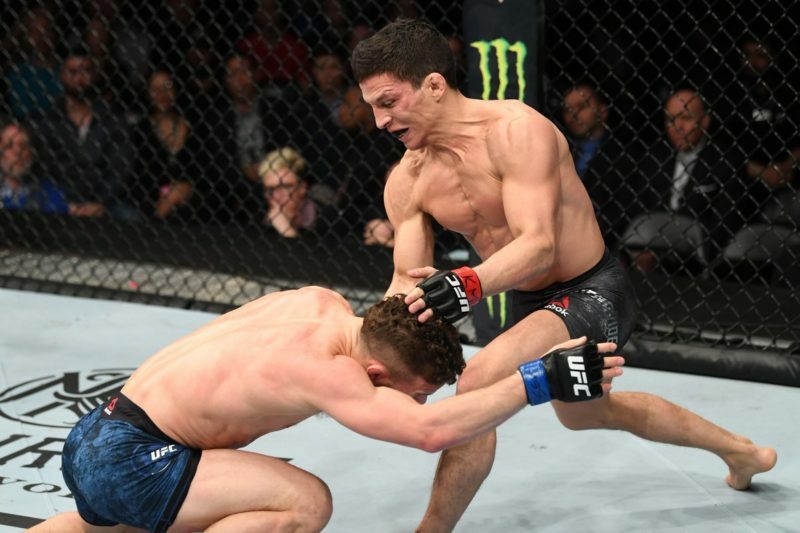 After an initial scare on the feet, in which Lipski connected with several heavy punches, Calderwood then pressed forward and proceeded to control all aspects of the contest. She was aggressive on the mat and attempted submission after submission. Lipski slowed after the first round of grappling and Calderwood narrowed the gap on the feet and started to land effective straight punches. Impressive win and Calderwood calls out Jessica Eye for a fight next. A new contender emerges in the light heavyweight division. Alonzo Menifield crushed Vinicius Moreira with heavy punches to knock him down to the mat and secure a KO/TKO finish. Menifield proved to be a powerful striker with extreme aggression. Not an easy matchup for anyone outside the top-15. Cory Sandhagen entertains the fans tuning into the first-ever fight on ESPN with a slick first-round submission win. Entertaining from start to finish, Sandhagen slid in and out of range while swapping stances to land with clean shots to the head and body of Bautista. After being dropped by a flying knee, Bautista picked up Sandhagen and slammed him to the mat, only to end up in a triangle submission attempt. He survived, but only to be caught in an armbar less than a minute later. Dennis Bermudez goes out on top. He outworked Te Edwards for the majority of the three rounds, winning a clear unanimous decision before announcing his retirement after the fight. 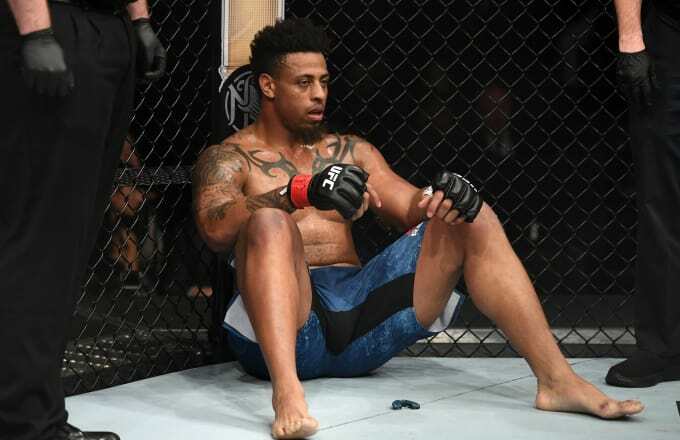 Edwards looked sharp early, but fatigued and eventually became discouraged up against the intense pace and pressure from Dennis Bermudez. 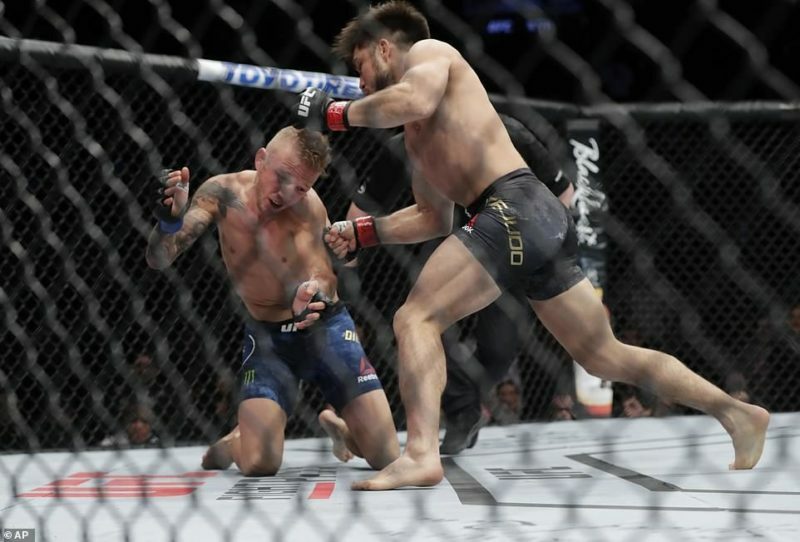 Bermudez continually dived in for single-leg takedowns and wore down Edwards before ultimately controlling him from top position and landing enough ground and pound to secure the victory. A big win for welterweight prospect, Geoff Neal. He moves to 11-3 after defeating Belal Muhammad via unanimous decision. Neal’s takedown defense was on point; stuffed every takedown and kept the fight standing. Neal’s striking was the difference maker. Respect to Muhammad for staying in this fight. He was rocked on occasion, busted and bruised by the end of the fight but was still moving forward in the final seconds. Grit and durability can only take you so far, though, as Neal outclassed him in almost every aspect of the contest. Easy work for Chance Rencountre. He took the back after a quick break due to a low blow and easily dragged Kyle Stewart around. 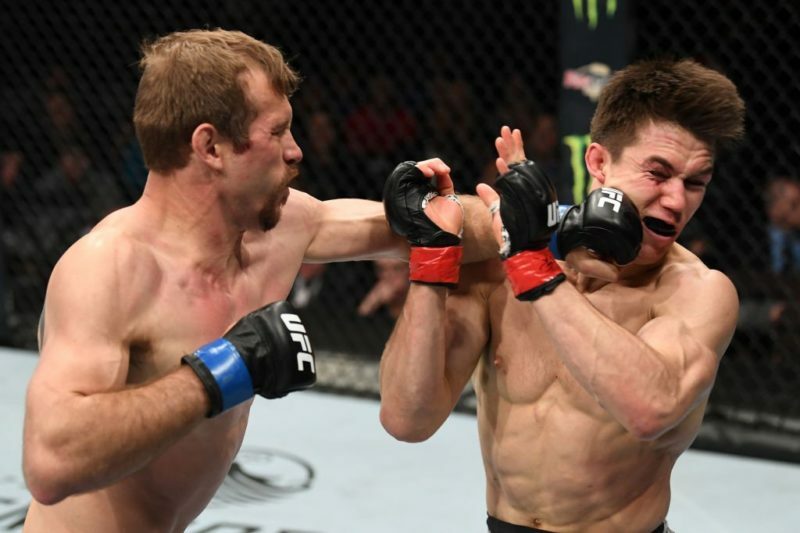 Despite only having one hook and no upper body control, Rencountre was still able to slide in the rear-naked choke and finish the fight at the 2:25 mark of the first round. That’s a quick win for Rencountre and he moves to 13-3.